The Bellmond Pullman (formerly Venice Simplon -Orient-Express) makes regular luxury excursions from the London area providing fine dining and an interesting day for those who can afford the tickets! Most trips with this train, with vintage 1920's and 30's 'Pullman' carriages are behind modern class 67 diesels, along with several trips each year worked by steam. 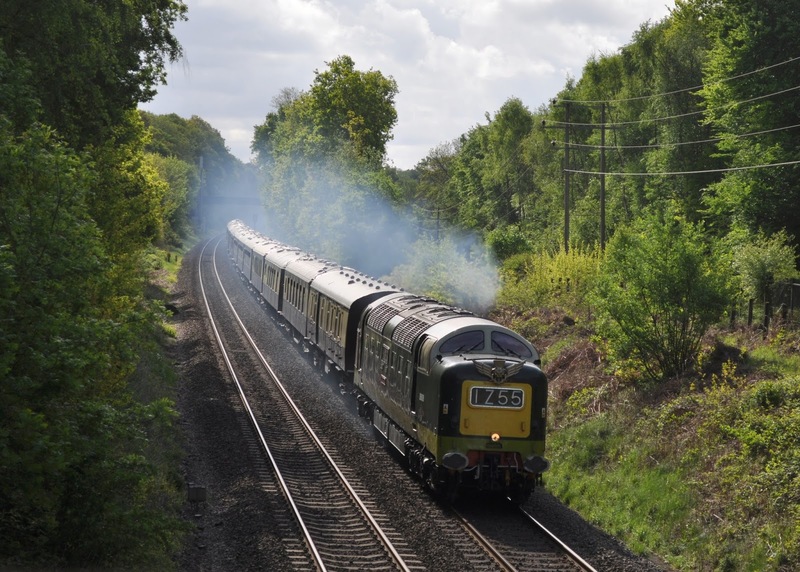 Very occasionally more interesting heritage traction gets a turn on the train such as on 16th July 2015 when the Pullman was hauled by Deltic D9009 'Alycidon' on a UK railtours trip to the Severn Valley Railway. Here the train is seen near Gerrards Cross on the Chiltern Main Line heading north.